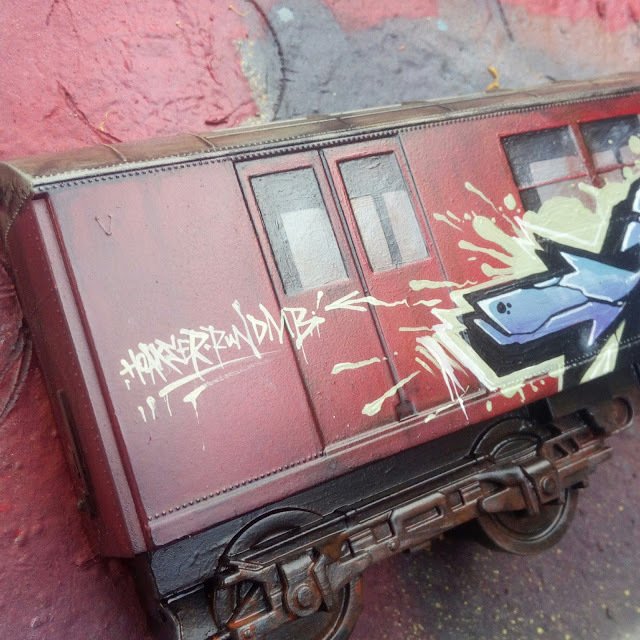 A few weeks ago I painted up this All City Style Train for a friend of mine, the custom toy don, Run DMB.. After bumping into him at ToyCon UK this year, a plan was formed for me to paint up his blank.. 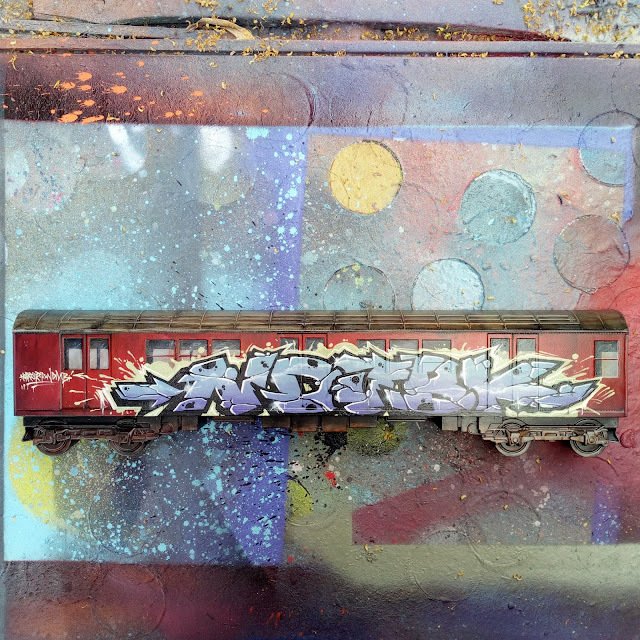 Personally I'd love to see a train covered in his style ( check his work out here ) but I've always wanted to paint one of these, so I happily did.. Without a doubt the hardest part about painting these trains are the windows and doors.Not being a fan of stencils or masking tape, all of this was painted freehand with brushes. 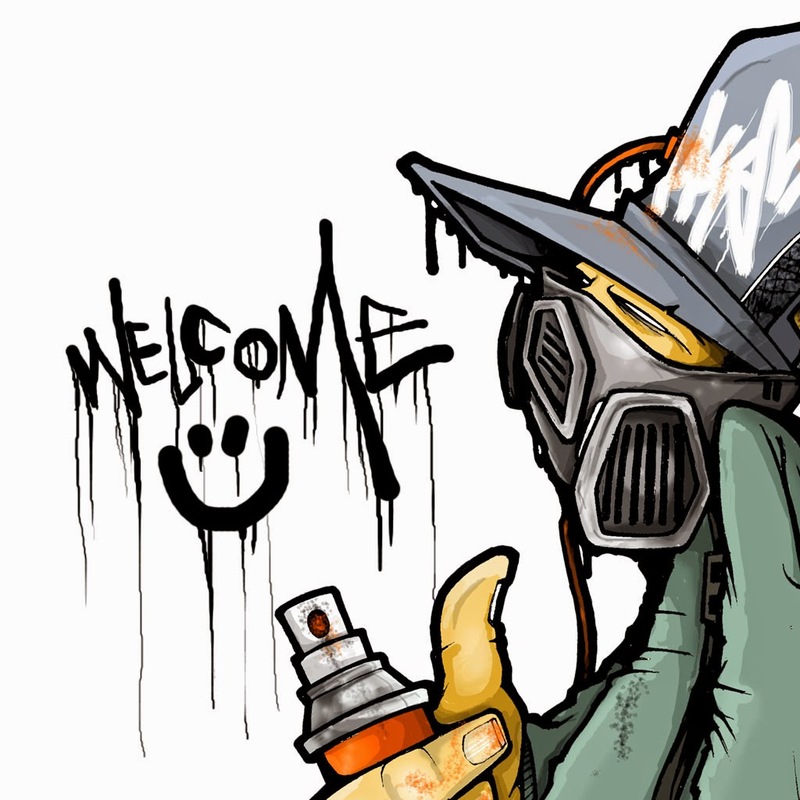 It was a lot of fun to work on and I'll probably do a few more in the future..Being the nice guy he is, rather than having a Run DMB wildstyle, N D J B K are his families first name initials so everyone is incorporated into the piece and I'm told they all approve..